So here’s how our 2015 panned out. We’ve crunched the numbers worked out how things are panning out so far. 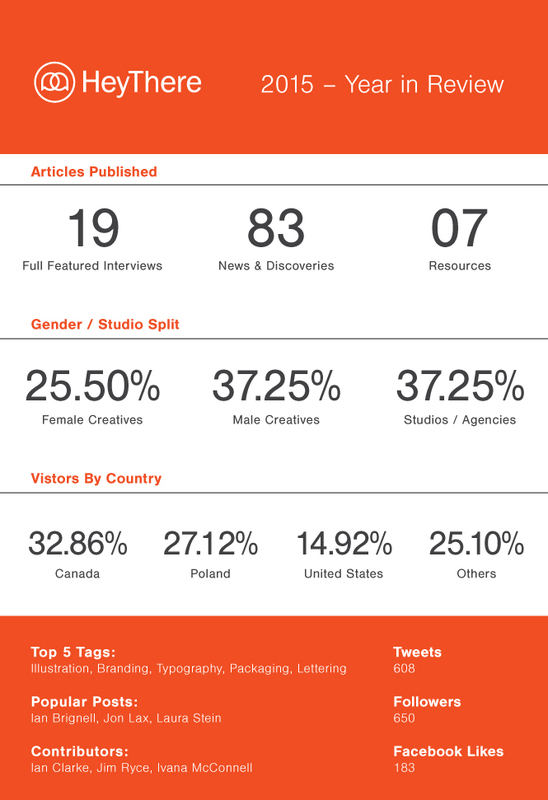 And a little disclaimer… these numbers include a little of 2014 also, because we did a little soft launch in late 2014 before we really got going in 2015. The most striking figure for us was the gender disparity. In an industry where it’s pretty much split down the middle, we featured women 11.85% less compared to men. It’s our goal to bring these two figures in line by the end of next year. During the year we also had an anomaly occur. HeyThere hit the front page of the Polish version of Reddit for our interview with Ian Brignell. This resulted in a huge spike in traffic and Poland claiming second spot in the number of visitors we received this year. Next year we have a number of goals.